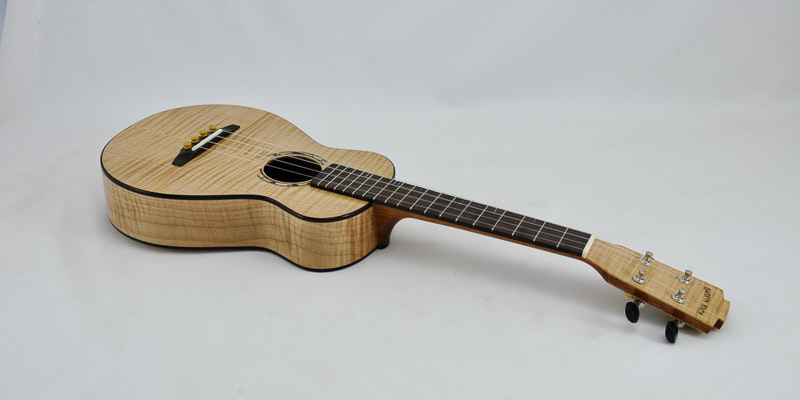 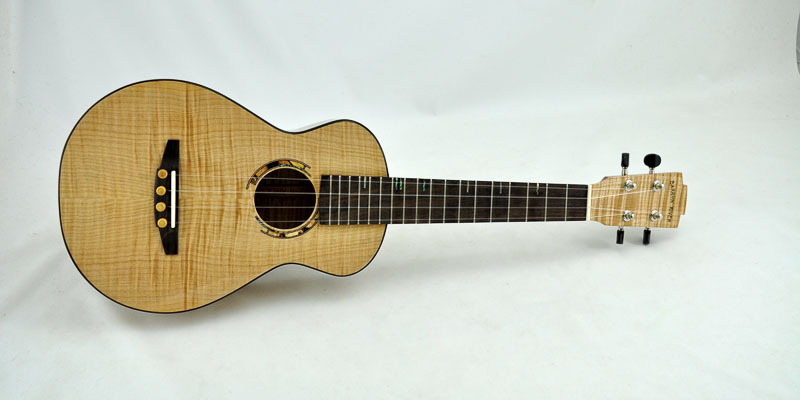 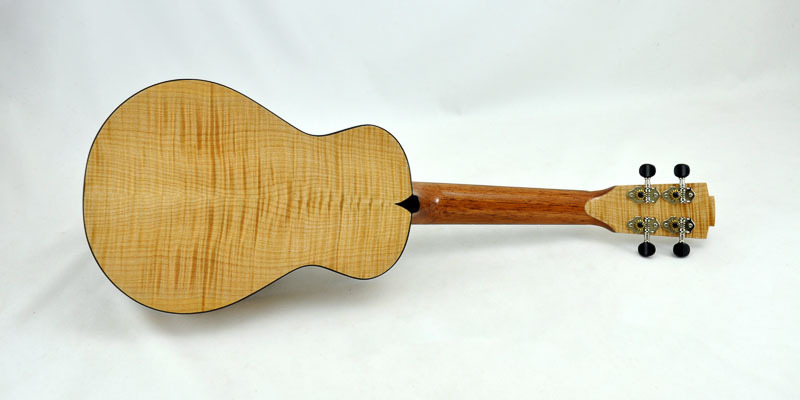 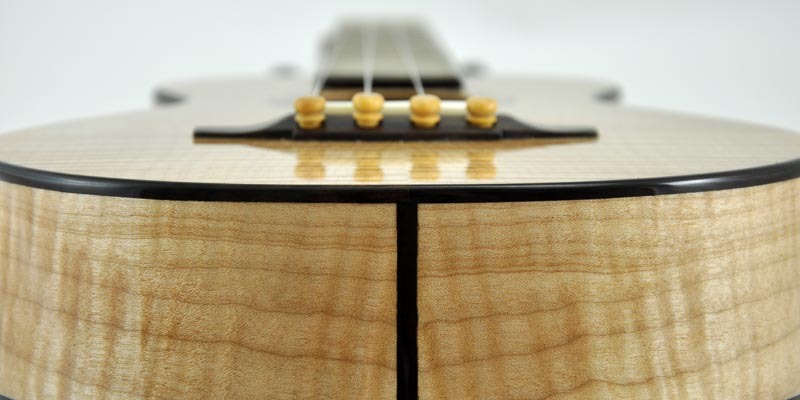 This concet size ukulele is built with Canadian Curly Maple, Spanish Cedar for the neck. 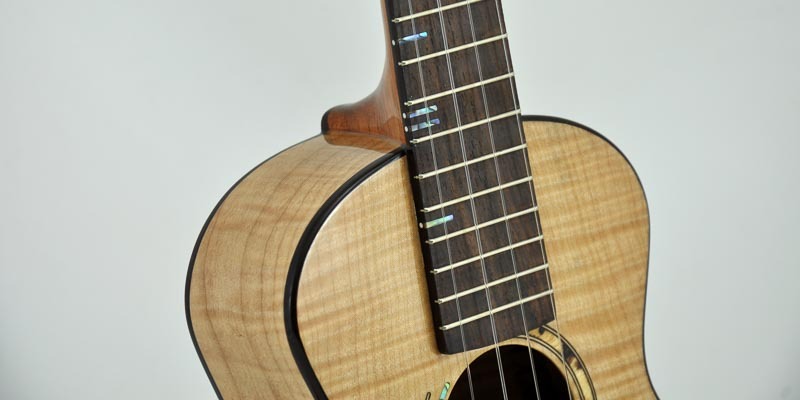 All trim is Gidgee. 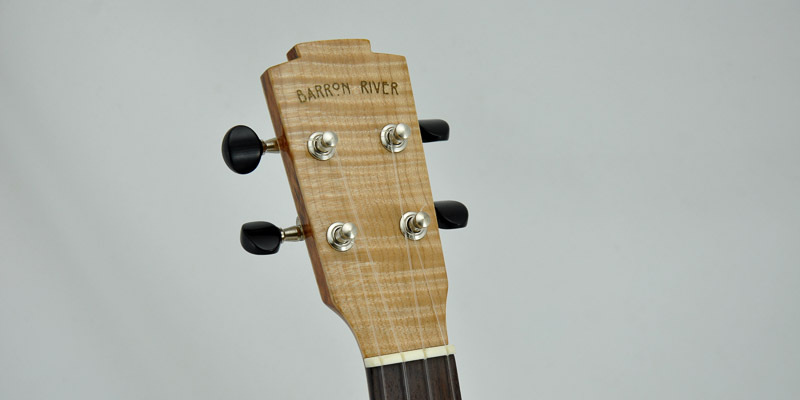 Tuners are Grover 14:1 and finish is a high gloss lacquer.